One of the best weapons for preventing and fighting the life-threatening heart diseases is to consume the healthy diet. 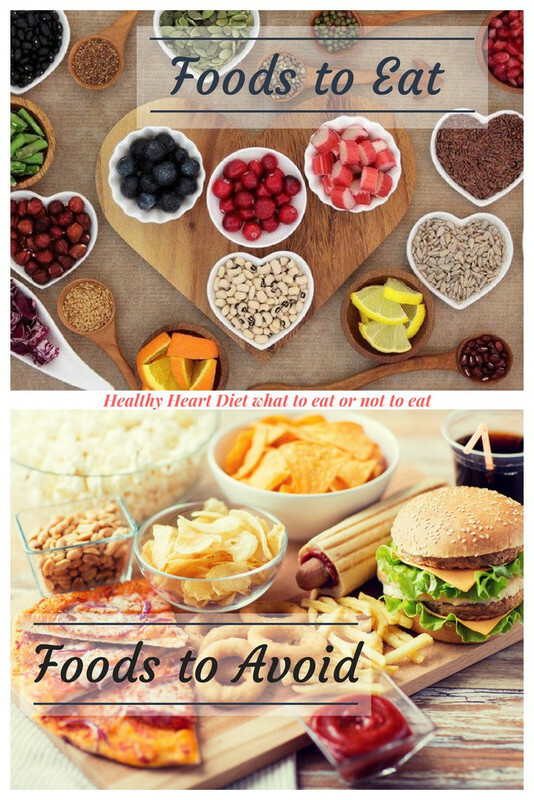 Go through this article to check out the list of items that you should include and exclude from your daily diet in order to ensure good health of your heart. Are you at a risk of developing a heart condition? It is imperative for you to take care of your heart health before it’s too late. Your heart is a vital body organ that performs the crucial function of pumping the blood throughout your body. Usually, people associate heart diseases with the old age and excessive weight. However, in the recent researches, it has been found that 50 % of the heart attacks occur below the age of 50 years and 25% of them occur in the people under 40 years of age. Surprised? The hard fact is that the chances of development of heart diseases are increasing considerably in the younger generations. There are certain causes that you are born with and are beyond your control. Simultaneously there are risk factors that you can manage just with certain lifestyle changes. One thing that can surely help you is consuming a heart health friendly diet. A heart-healthy diet can assist you in managing the risk factors for heart conditions to a great extent. Also, the patients who are already suffering from heart conditions can be benefitted by the healthy diet. To move out the hassles in your way of finding the ideal diet plan for protecting your heart, here we present a comprehensive list of food items that you must and must not include in your daily diet. Do you know, you can suffer from many heart disease, if your heart is not healthy? You can also get detail about the way to keep or maintain heart healthy rather than diet. Salomon- Being super rich in omega 3 fatty acids, Salomon can play a significant role in reducing the blood pressure and preventing clotting. Moreover, it consists of a very effective anti-oxidant the carotenoid astaxanthin that can significantly benefit your heart health. One thing that you should keep in mind is to opt for wild salmon than the farm-raised fish. Soy- Consuming right quantity of soy can help you in lowering level of cholesterol in your body significantly which is highly associated with a chronic heart condition. Try to include natural sources of soy like edamame, tempeh, or organic silken tofu. Avocado- Including avocado in your diet can help you in reducing the amount of bad cholesterol in your body and increasing the amount of good cholesterol drastically.Including even a little bit amount of avocado in your diet can make a big difference. Spinach- Spinach is a great source oflutein, folate, potassium,and fiber that makes it one of the ideal foods to eat for heart health. Including veggies in your daily meals can prove to be beneficial for the heart as well as several other crucial body organs. Nut- One thing that you surely can’t miss out on your diet is the nuts. They are packed with omega 3 fatty acids that can assist you in taking care of the heart. Apart from this, you can opt for another type of nuts like Almonds and Macadamia that are rich in mono and polyunsaturated fats. They can provide a good source of healthy fats and fiber for your body that in turn can reduce the risk of coronary conditions. Milk- Everybody’s mother or grandmother had run after them with the glass of milk. This is because milk is considered as the vital ingredient of your diet. In order to avail its benefits for your heart, you can sum it up with cereals and oats for enhancing the taste and nutrient values of your meal. Olive oil- Try to use olive oil in cooking your food as it is rich in monounsaturated fats that reduce the level of bad cholesterol in your body reducing the risk of developing heart diseases significantly. Deep fried food items- In many types of research it has been found that fried food items can largely increase the risk of heart diseases. This is because due to frying the trans- fat is increased in the food item that is often linked to the formation of a bad type of cholesterol. The bad cholesterol often causes blockage in arteries affecting the heart conditions. Sugar- Say a big no to sugary items. Try to reduce the consumption of sugar level in your daily dietary plan. This is because eating refined carbohydrates and sugary items can produce inflammation that can be risky for your heart health. Saturated Fats – The number of food items like butter, sour cream, mayonnaise and fatty cuts of the meat shall be limited in your daily dietary plan as they are high in saturated fats that can elevate the level of bad cholesterol leading to plaque buildup in your arteries. Salt- Salt is the essential ingredient of every scrumptious recipe and no meal can be complete without it. But do you know that salt consists of sodium that causes high blood pressure which may result in severe heart conditions? Thus, salt is one of the significant foods to avoid for heart health. Now we hope that you are well aware of the diet plan that you should follow for a healthy heart. We understand that it is not possible to change your whole diet at once but you can try to incorporate these changes slowly and steadily in your diet. I hope some of you also intersted to know the causes of heart disease.